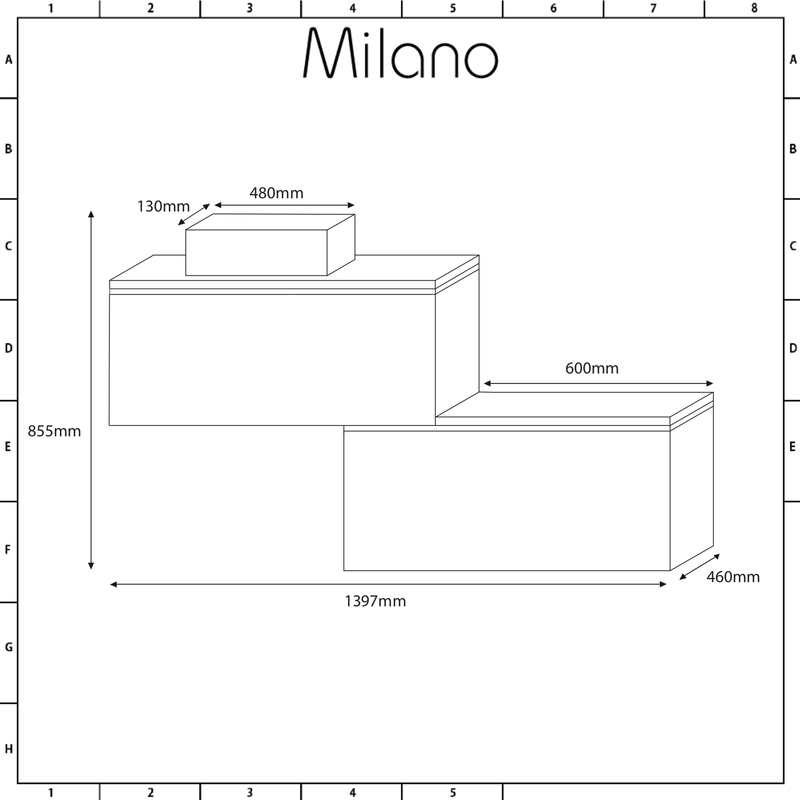 Elevate your bathroom to the next level of style with the wall-mounted Milano Oxley 1400mm stepped vanity unit and basin. 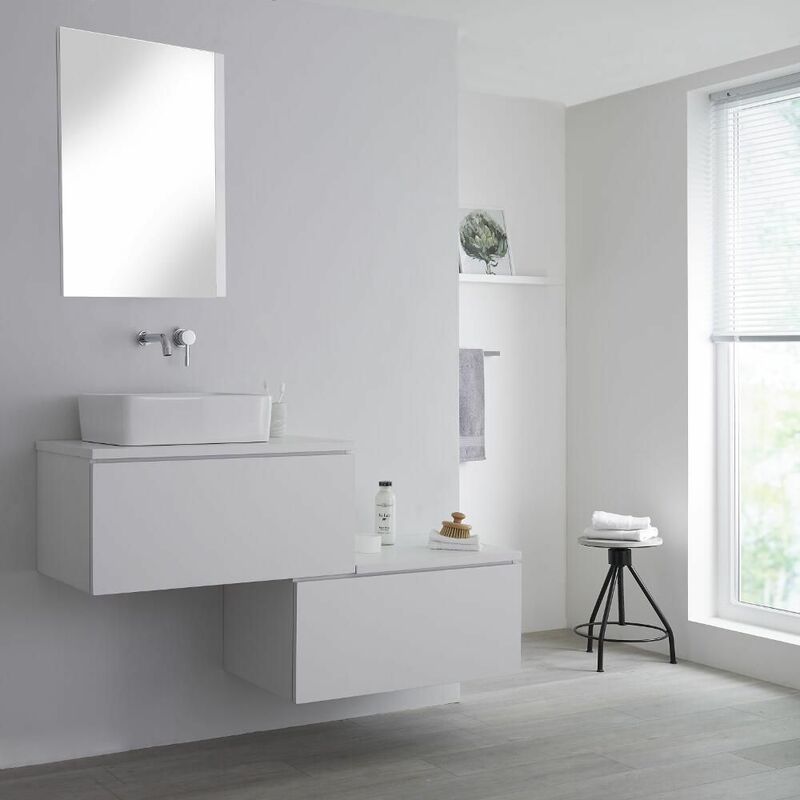 Combining sleek, modern looks with the functionality needed in everyday life, the Oxley vanity unit ticks all the boxes. 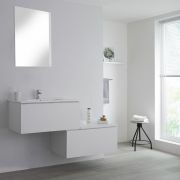 The contemporary matt white finish on the moisture resistant engineered wood ensures that the vanity unit is both robust and has long-lasting durability. 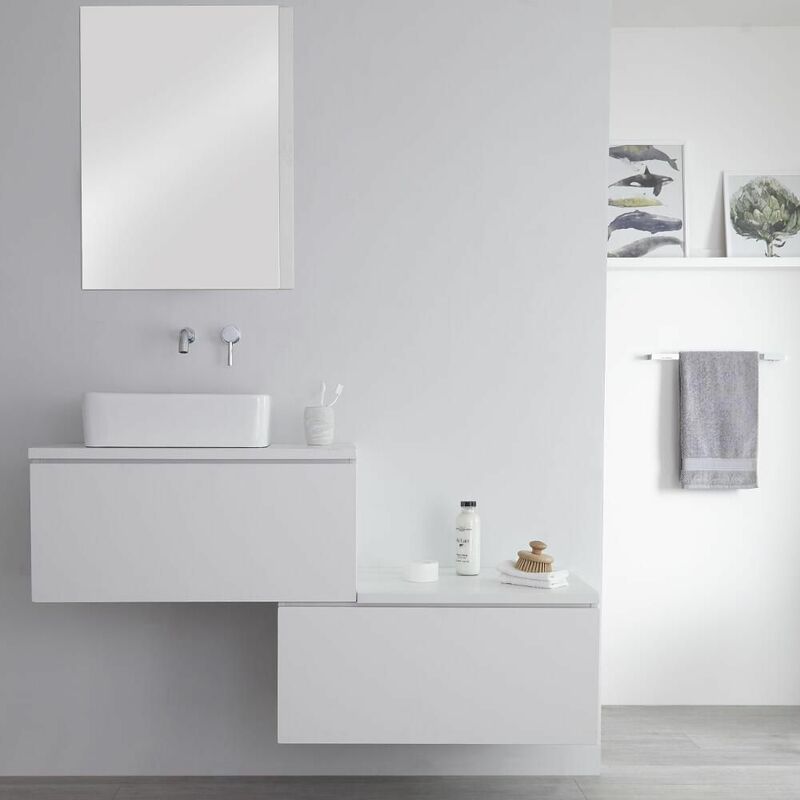 Two spacious push to open soft close drawers allow you to discreetly store your toiletries and beauty products while a countertop enables you to keep your essentials at hand. The chic look is completed with a rectangular countertop basin that can be paired with any wall-mounted or high-rise tap in our range.